71) Sinha N, Wang Y, Dauwels J, Kaiser M, Thesen T, Forsyth R, Taylor PN. Computer modelling of connectivity change suggests epileptogenesis mechanisms in idiopathic generalised epilepsy. Neuroimage:Clinical, in press, 2019. 70) Peraza LR, Díaz A, Kennion O, Moratal B, Taylor JP, Kaiser M, Bauer R. Structural connectivity centrality changes mark the path towards Alzheimer’s disease. Alzheimer’s & Dementia: Diagnosis, Assessment & Disease Monitoring, in press, 2019. 69) Cromarty R, Schumacher J, Graziadio S, Gallagher P, Killen A, Firbank MJ, Blamire A, Kaiser M, Thomas AJ, O’Brien JT, Peraza LR, Taylor JP (2018). Structural Brain Correlates of Attention Dysfunction in Lewy Body Dementias and Alzheimer’s Disease. Frontiers in Aging Neuroscience, 10:347. [Article (PDF)]. 68) Gonzalez-de-Aledo P, Vladimirov A, Manca M, Baugh J, Asai R, Kaiser M, Bauer R (2018). An optimization approach for agent-based computational models of biological development. Advances in Engineering Software, 121: 262-275. [Article (PDF)]. 67) Schumacher J, Peraza JR, Firbank M, Thomas AJ, Kaiser M, Gallagher P, O’Brien JT, Blamire AM, Taylor JP (2018). Functional connectivity in dementia with Lewy bodies: A within?and between?network analysis. Human Brain Mapping, 39(3):1118-1129 [Article (PDF)]. 66) Kaiser M (2017). Mechanisms of Connectome Development. 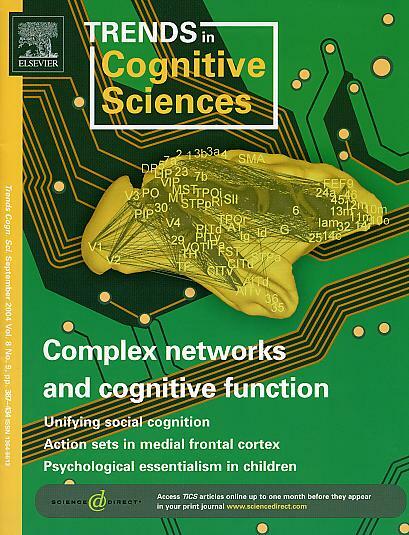 Trends in Cognitive Sciences [Article (PDF)]. 65) Wang Y, Trevelyan AJ, Taylor PN, Valentin A, Alarcon G, Kaiser M (2017). Mechanisms underlying different onset patterns of focal seizures. PLOS Computational Biology, 13(5): e100547. [Article (PDF)]. 64) Sinha N, Dauwels J, Kaiser M, Cash SS, Brandon Westover M, Wang Y, Taylor PN (2017). Reply: Computer models to inform epilepsy surgery strategies: prediction of postoperative outcome. Brain 140:e31. 63) Bauer R, Kaiser M (2017). Nonlinear growth: an origin of hub organization in complex networks. Royal Society Open Science, 4:160691 [Article (PDF)]. 62) Peraza L, Nesbitt D, Lawson R, Duncan G, Yarnall A, Khoo T, Kaiser M, Firbank M, O’Brien J, Barker R, Brooks D, Burn D, Taylor JP (2017). Intra- and inter-network functional alterations in Parkinson’s disease with mild cognitive impairment. Human Brain Mapping, 38(3):1702-1715 [Article (PDF)]. 61) Taylor N, Wang Y, Kaiser M (2017). Within brain area tractography suggests local modularity using high resolution connectomics. Scientific Reports 7:39859 [Article (PDF)]. 60) Sinha N, Dauwels J, Kaiser M, Cash SS, Brandon Westover M, Wang Y, Taylor PN (2017). Predicting neurosurgical outcomes in focal epilepsy patients using computational modelling. Brain 140(2):319-332 [Article (PDF)]. 59) Wang Y, Necus J, Kaiser M, Mota B. (2016). Universality in human cortical folding in health and disease. Proc. Natl. Acad. Sci. USA doi: 10.1073/pnas.1610175113 [Article (PDF)]. 58) Ainsworth M, Lee S, Kaiser M, Simonotto J, Cunningham MO, Kopell N, Whittington MA (2016). GABAB receptor-mediated, layer-specific synaptic plasticity reorganises gamma frequency neocortical response to stimulation. Proc. Natl. Acad. Sci. USA [Article (PDF)]. 57) Peraza LR, Colloby SJ, Deboys L, O’Brien JT, Kaiser M, Taylor JP (2016). Regional functional synchronizations in dementia with Lewy bodies and Alzheimer’s disease. International Psychogeriatrics [Article (PDF)]. 56) Thanarajah SE, Han CE, Rotarska-Jagiela A, Singer W, Deichmann R, Maurer K, Kaiser M, Uhlhaas P (2016). Abnormal Connectional Fingerprints in Schizophrenia: A Novel Network Analysis of Diffusion Tensor Imaging Data. Frontiers in Psychiatry 7:114. [Article (PDF)]. 55) Hutchings F, Han CE, Keller S, Weber B, Taylor PN, Kaiser M (2015). Predicting Surgery Targets in Temporal Lobe Epilepsy through Structural Connectome Based Simulations. PLOS Computational Biology 11(12): e1004642 [Article (PDF)]. 6) Jiang S, Kaiser M, Guo J, Yang S, Krasnogor N. Less detectable environmental changes in dynamic multiobjective optimisation. ACM Press, 2018. 5) Torres M, Jiang S, Pelta D, Kaiser M, Krasnogor N. Strain Design as Multiobjective Network Interdiction Problem: A Preliminary Approach. Conference of the Spanish Association for Artificial Intelligence. Springer, 2018. 8) Lim S, Hutchings F, Kaiser M (2017). Modeling the Impact of Lesions in the Brain. In: The Rewiring Brain. Elsevier. 465-484. 6) Kaiser M (2014). Neuropathologies and Networks. Encyclopedia of Computational Neuroscience. Springer. 5) Kaiser M, Hilgetag C (2014). Wiring principles, Optimization. Encyclopedia of Computational Neuroscience. Springer. 4) Kaiser M, Simonotto J (2010). Limited Spreading: How Hierarchical Networks prevent the Transition to the Epileptic State. In: Modeling Phase Transitions in the Brain. Springer Series in Computational Neuroscience. 3) Kaiser M, Simonotto J (2009). Structural and Functional Dynamics in Cortical and Neuronal Networks. In: Dehmer & Emmert-Streib, “Analysis of Complex Networks: From Biology to Linguistics”. Wiley-VCH. 2) Kaiser M (2008) Multiple-scale hierarchical connectivity of cortical networks limits the spread of activity. In: Soltesz & Staley, “Computational Neuroscience in Epilepsy”, Academic Press. 1) Hilgetag CC, Kaiser M (2008) Organization and Function of Complex Cortical Networks. In: beim Graben P, Zhou C, Thiel M, Kurths J (Eds), “Super-Computational Neuroscience: Complex Networks in Brain Dynamics”. Lecture Notes in Physics, Springer. 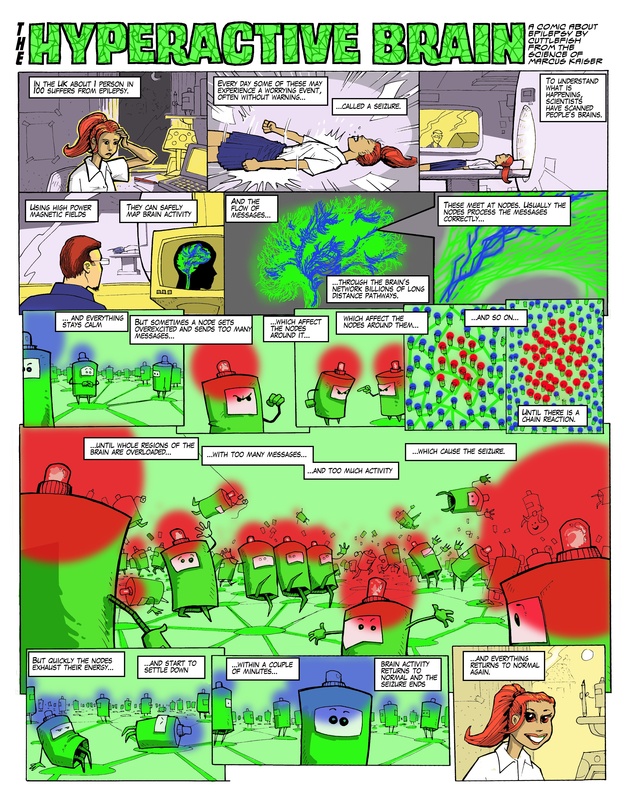 4) Sporns O: Discovering the human connectome. Book Review. ACM Computing Reviews, 2012. 3) F Gibson, P Overton, T Smulders, S Schultz, SJ Eglen5, CD Ingram, S Panzeri, P Bream, E Sernagor, M Cunningham, C Adams, C Echtermeyer, J Simonotto, M Kaiser, DC Swan, M Fletcher, P Lord. Minimum Information about a Neuroscience Investigation (MINI) Electrophysiology. Nature Precedings 1720.1, 2008. 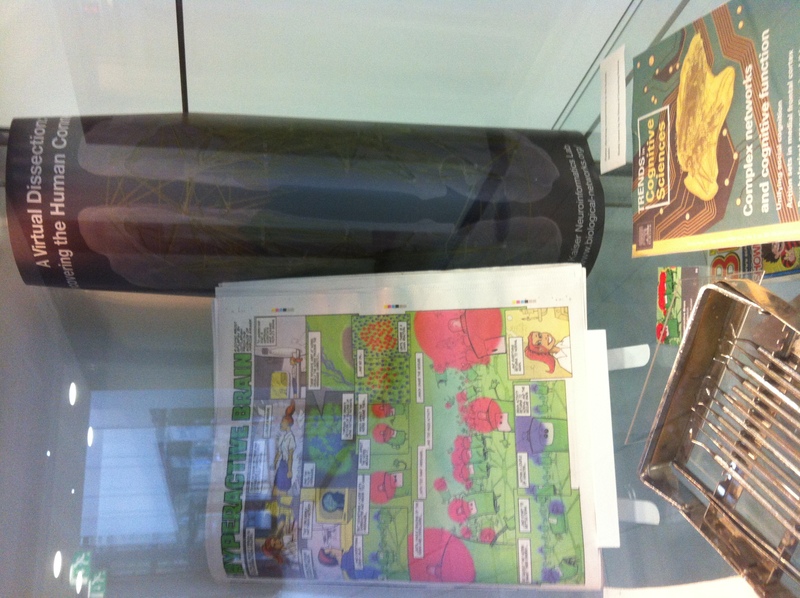 7) British Science Festival 2013: How did a brain evolve?